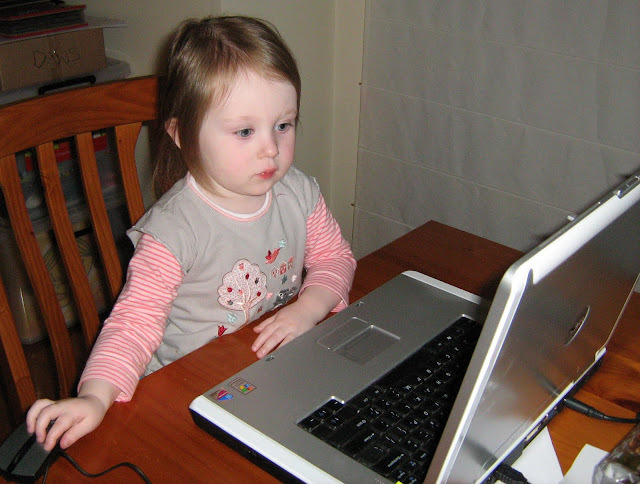 It's a scary reality that kids in kindergarten are assessed on their ability to use computers. 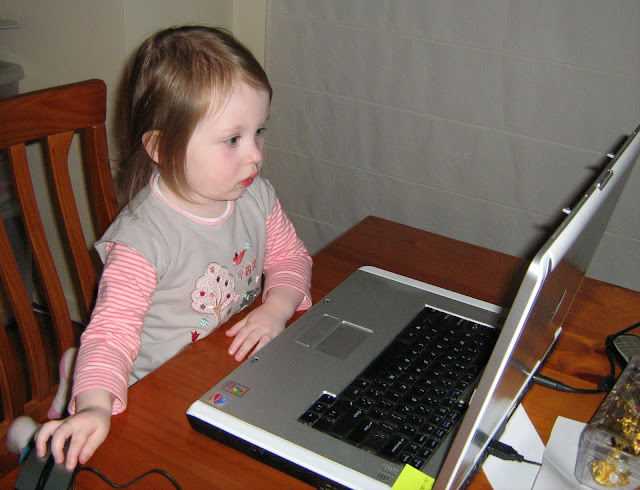 I say scary because I can imagine Olivia teaching me how to create Excel spreadsheets before she hits school. And I thought I was vaguely computer literate! 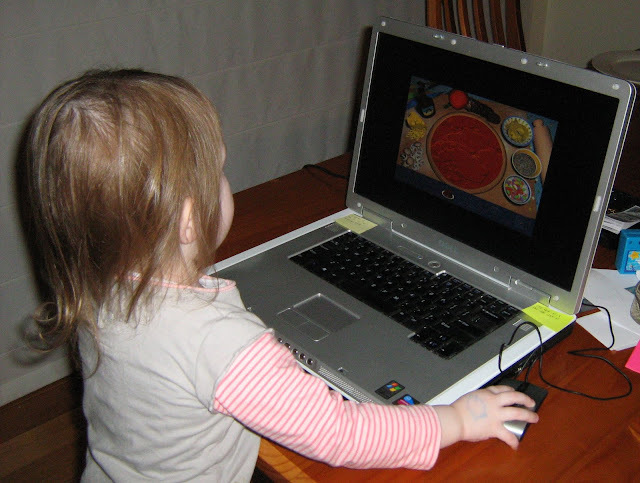 What's even scarier is that she'll look back at these childhood photos and laugh, saying something like "Remember what it was like when we actually had to use a mouse?!". Did I mention that it makes me feel old?? She was funny the night I arrived. We were all talking and next thing Olivia directed me to sit on a particular chair at the end of the dining table, then she directed me to put on my glasses, then finally 'computer'. She had remembered exactly where her and I sat some 4 months earlier playing the computer and that I had to wear glasses to use it.